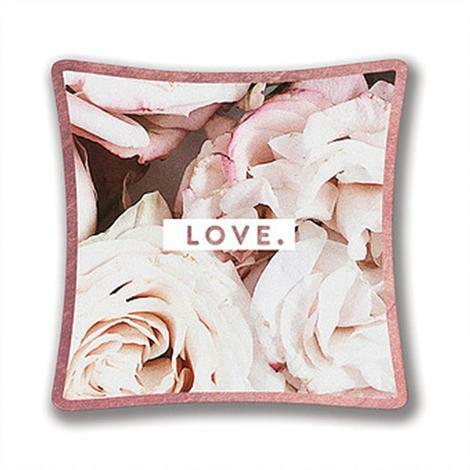 This adorable trinket tray featuring Tina is going to be a cute addition for your home or office, the perfect compact size is 3 X 3 is going to be just right for your small keepsakes like jewelry, keys, and candies. 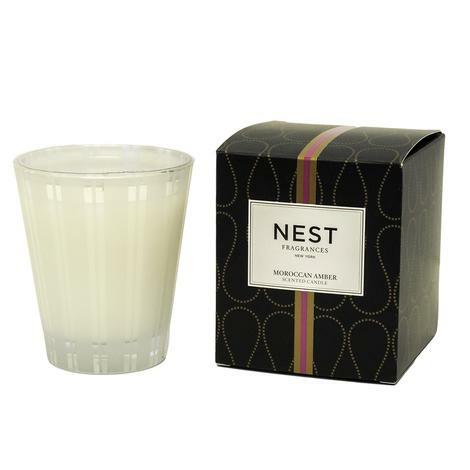 This glass trinket tray is a must have item this season! 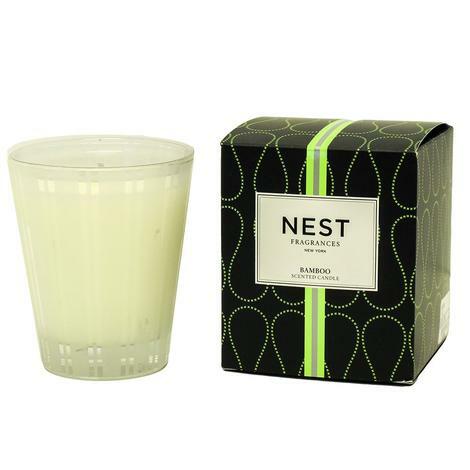 This glass trinket tray is going to be the perfect addition to your office or home. Use it to hole items such as candies or paper clips for easy asses or keep it at home to hold jewelry or your keys. 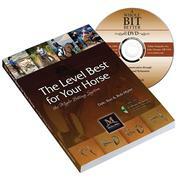 This is the perfect size for any area, it measures 3" by 3". 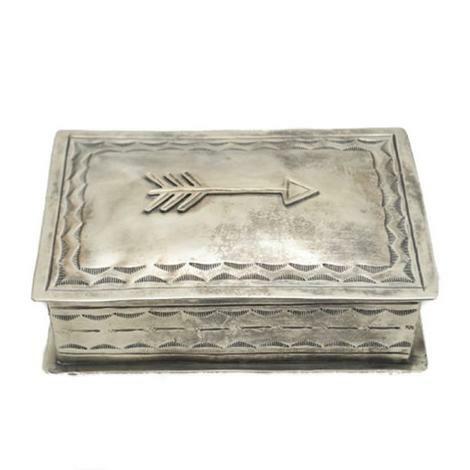 This is a rustic silver home accessory that you're going to want to show off to everyone! Crafted from German Silver: an alloy containing nickel and copper. This piece is handmade and hand finished in "polished vintage". You won't have to go to a trading post to get this stunning item, get it here! 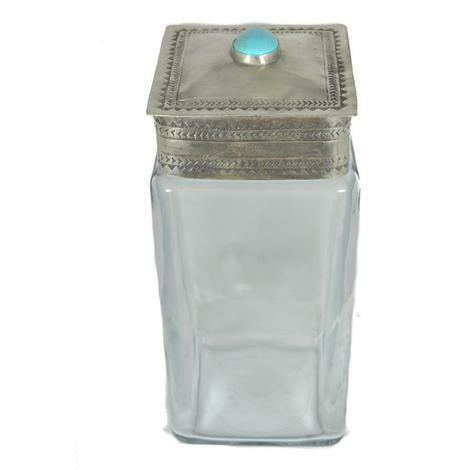 This spring get organized in style with this stunning multi-purpose glass canister with the silver and turquoise top. 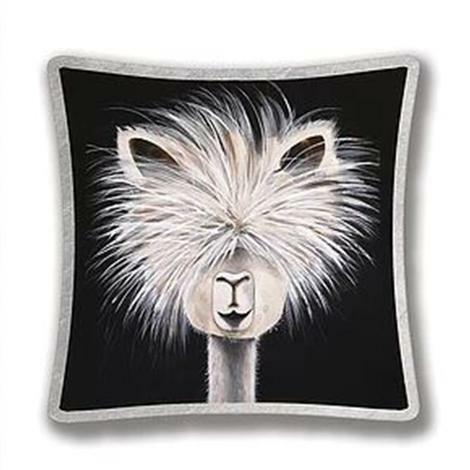 Use it to keep dry items within easy access, decorate your bathroom or kitchen with this elegant display. 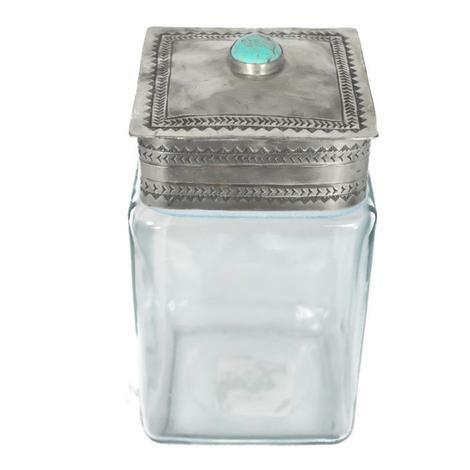 This spring get organized in style with this stunning multi-purpose glass canister with the silver and turquoise top. This large canister is great to keep sweet candies or laundry pods to give your laundry room a spark of style! 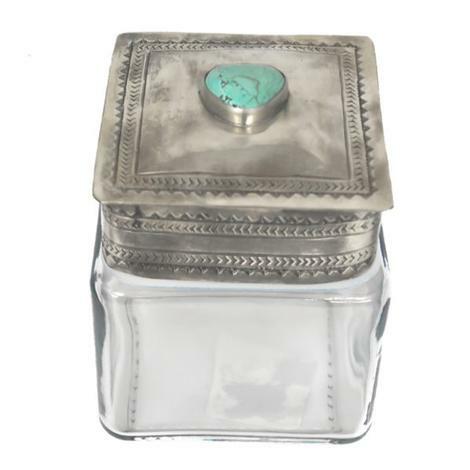 This spring get organized in style with this stunning multi-purpose glass canister with the silver and turquoise top. 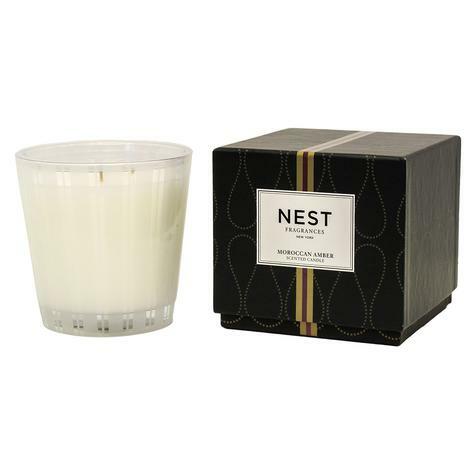 This small canister is going to be ideal for cotton balls or a cute way to store your buttons! 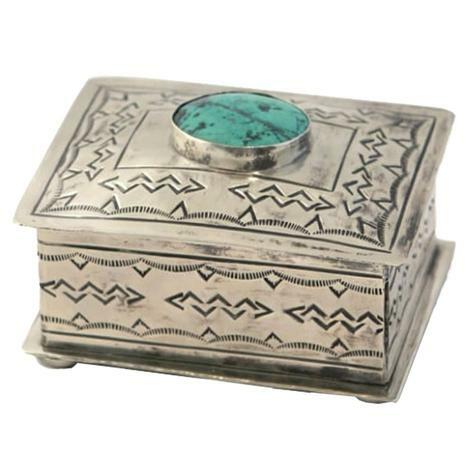 This stunning multi-purpose home or office decor box is going to be the perfect addition that people will be talking about. 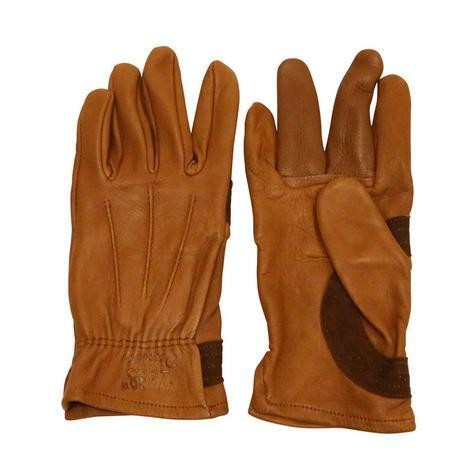 This is an item that you're going to be able to pass down and will stay stylish and classic over the years! 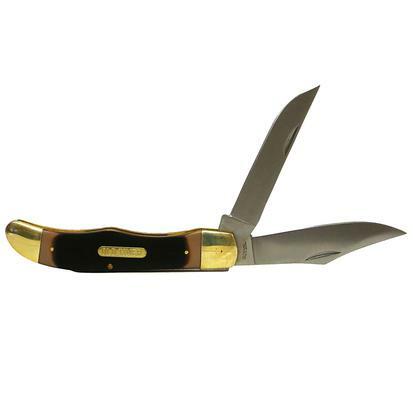 This is an easy open roper pocket knife that has a clip. The handle is made of zytel with delrin inserts. 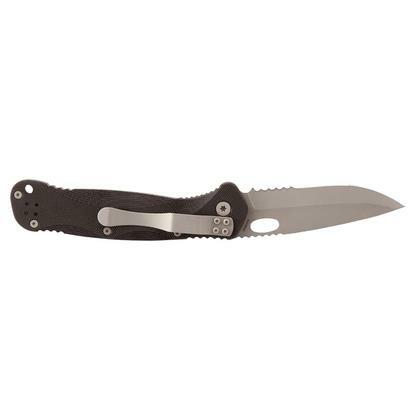 The single blade is serrated and hardened to 56 Rockwell. It is made of 1095 HC steel. This roper folding knife opens with one hand and clips securely inside your pocket. 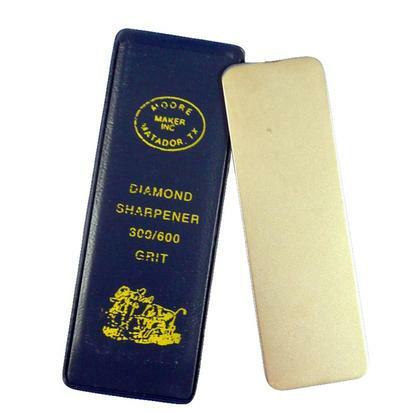 This is a diamond knife sharpener that is made of metal bonded DeBeers diamonds. It is 4 inches long, 1 ¼ inches wide, and 1/16 of an inch thick. One side has a grit of 300 and the other has a grit of 600. Choose between the 300 grit or the 600 grit. 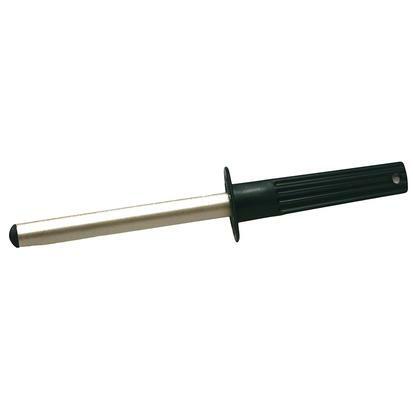 These are diamond coated knife sharpeners with a hilted handles. 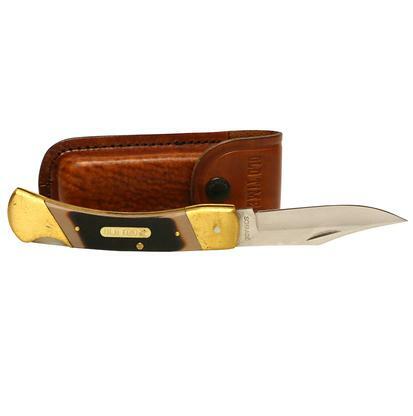 The Rattl’r is a knife with a single combo blade that has both strait and serrated edges. It is a one handed opener and uses a liner lock mechanism. The single blade is made of 440C steel that has a bead blast finish. G10 scales provide a nearly indestructible handle. 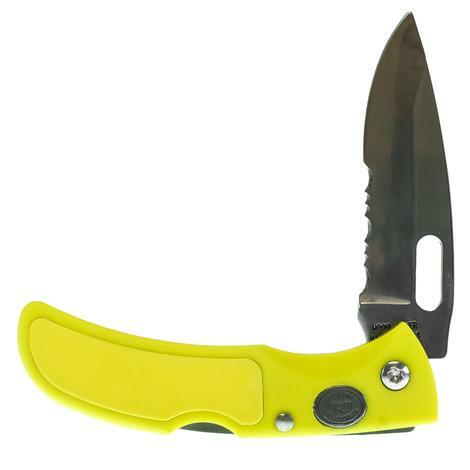 This knife has a 3.4 inch blade, is 4.9 inches closed, and is 8.3 inches overall when open. The three blades all have nail pulls and are made of 7cr17 high carbon stainless steel. This pocket knife has a sheepsfoot blade, a clip point blade, and a clip point pen blade. 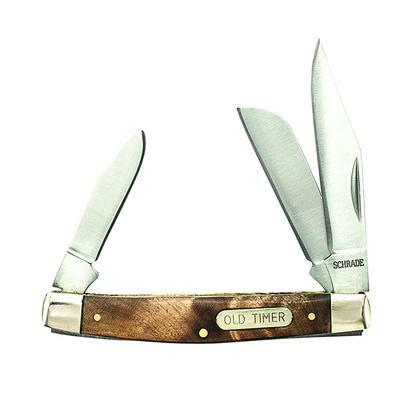 The old timer sawcut handles have nickel silver bolsters, heat treated back springs, and brass pins. The blade length is 2.4 inches. 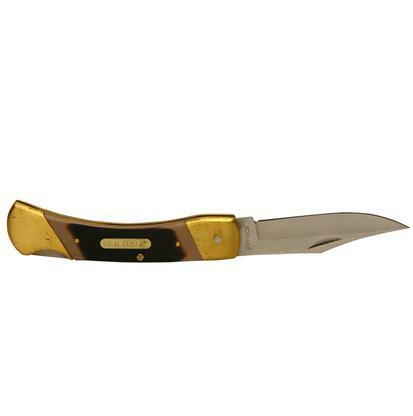 This folding pocket knife has desert iron wood handles with heat treated back springs, brass pins, and nickel silver bolsters. It is 3.3 inches closed and 5.7 inches when open. The three blades are made of 7cr17 high carbon stainless steel and have nail pulls. The three blades are a clip point pen, a regular clip point, and a sheepfoot. 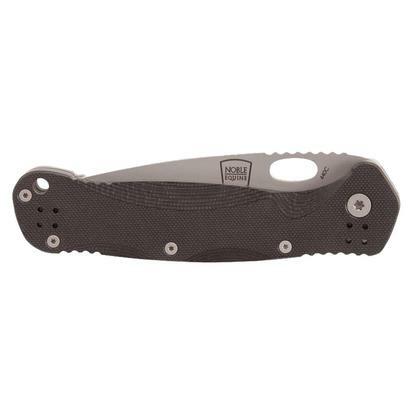 This lockback folding knife is made of 7cr17 high carbon stainless steel. The blade is a clip point that is 3.9 inches long and has nail pulls. The pins are brass, the back springs are heat treated, the bolsters are silver nickel, and the belt sheath is real leather. 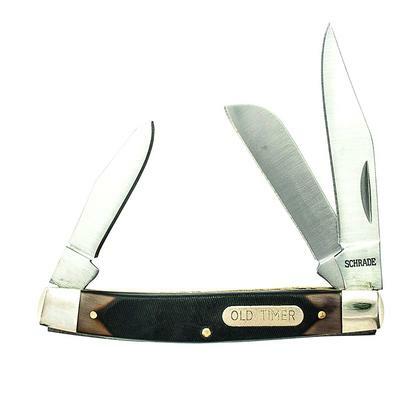 The old timer sawcut handle is 4.9 inches.